Are You Thinking Of Relocating To San Francisco? U.S. News ranks San Francisco #20 in Best Places to Live. The job market is booming. Tourism, technology, and finance are just three of the top industries in the area. 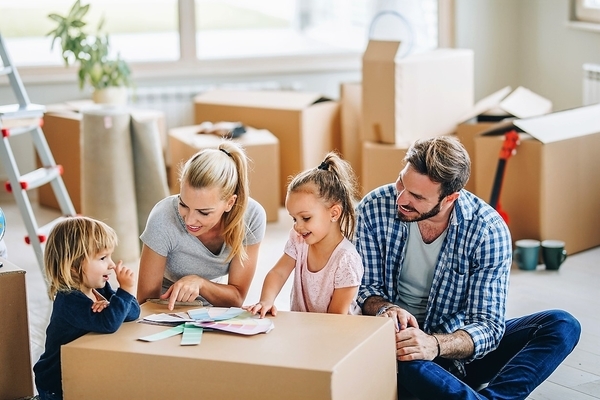 If you’re considering a move to the city, you’ll want to know these moving tips to help you make a smooth transition. Use Bay Area affordable storage pods to store your belongings while you’re looking for a permanent place to live. Parking is limited in some neighborhoods, so make sure to check out the parking situation where you plan on living. San Francisco has lots of transit methods, so you may want to look into your options for mass transit. Don’t assume the commute is a straight drive. Research routes to your work so you’ll know how long it takes, whether you’re driving or riding. Traffic can fluctuate according to busy hours. You need to do your homework when renting. Know how to recognize rental scams. Being asked to wire money before you sign the lease is a key method, but there are others. You may want to work with a licensed real estate agent or broker to ensure that you’re not getting scammed. Always see the apartment in person before signing a lease and handing over money. Consider hiring our moving pros at At Your Step Storage to help deliver your furniture hassle-free. Temperatures will vary between neighborhoods throughout the day. Although the temperatures are generally fairly pleasant, keep a lightweight jacket on hand. The weather changes on a dime. If you’re not used to microclimates, it can be different. San Francisco is famous for fog, which can make the morning and night chillier than the day will actually be. Try finding a couch you can crash on before picking a neighborhood. If you can afford it, stay in AirBnBs around the city for a few nights before signing a lease. Keep an open mind about the possibilities. Certain neighborhoods can be quite pricey, while others may fit into your budget better. For Bay Area pod pickup and delivery, use a local service that is committed to your needs and time frame and knows the area well. Thinking About Making The Move To The Bay Area? Are you looking for Bay Area storage delivered and picked up at your convenience? Contact At Your Step Storage for pick up storage container services. We make moving easy. You pack on your own time, then we pick up your unit and take it to the storage facility or your new location. Click HERE to visit our website to learn more today!